Christopher Beling , an associate Professor in Physics at the University of Hong Kong, while in England died in a drowning accident trying to save his brother. Chris was an active Creationist who conflicted with his Evolutionist peers. 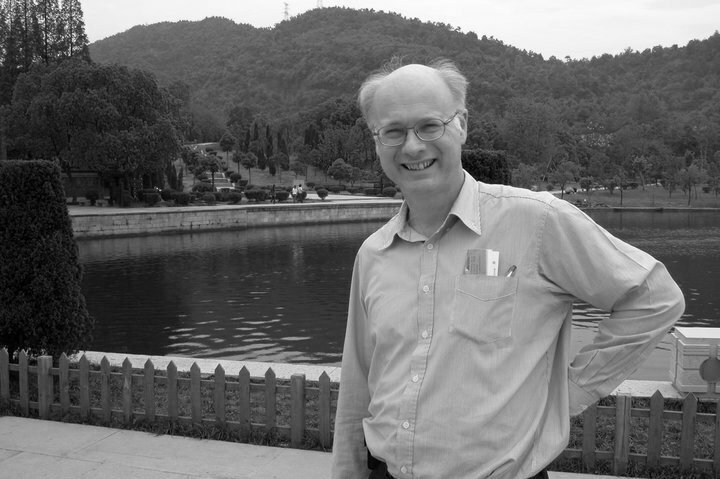 Upon recently returning to Hong Kong, I was shocked to hear of the death of Chris Beling, an Associate Professor in Physics at the University of Hong Kong (HKU). Chris was an outspoken Creationist, although I am not. Nevertheless, we discussed physics as friends – in particular - sonoluminescence (SL) or the conversion of sound into light in collapsing bubbles. But the accepted SL theory was that collapsing bubbles in water produced light from high temperatures which was to me untenable. With an open mind, Chris let me run some solid state SL experiments in his laboratory to test other SL theories. Chris knew that science is not cast forever in an unchanging mold and other explanations of the SL light are possible. Yet Chris was the first to admit that my search for the truth of the SL light would make enemies of other HKU faculty who in their mediocrity refuse to have an open mind. Indeed, anytime one searches for truth, one has many enemies. "In addition to Darwin's theory, students are encouraged to explore other explanations for evolution and the origins of life, to help illustrate the dynamic nature of scientific knowledge." In support of Chris, I find the position of the HKU professors in blocking the biology syllabus is contrary to the very nature of science. The argument that Chris should be allowed to teach Creation in university classes for theology or philosophy, but not science classes is moot. HKU could have allowed Chris to teach the science of Creationism in a philosophy class without conflicting with the consensus of his scientific peers. Obviously, HKU did not want an amicable solution of which HKU itself could have benefited as a world leader in the never ending controversy between Evolution and Creationism. Chris’ death will not alter this and HKU must live forever with it's lack of vision. It is unfortunate HKU was unable to recognize Chris was a rose in a bed of thorns.